It was a beautiful day in Hong Kong today. Sally and I went out to get our drivers' licenses and we took the Wan Chai Star Ferry back. It was absolutely gorgeous today. 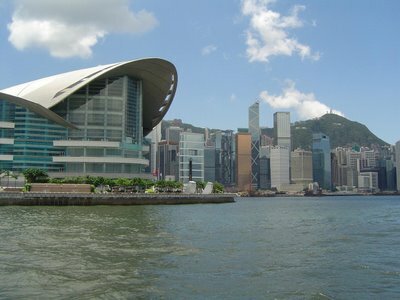 This is the HK Convention Center with Central in the background.